The longer I spend downunder the more I notice. I feel I have graduated a level in understanding Australian ways recently, as I have noticed more of the subtler differences in everyday life. Always want to be a fireman? Australia likes to think of itself as a land of opportunity and in the volunteering field it most certainly is. 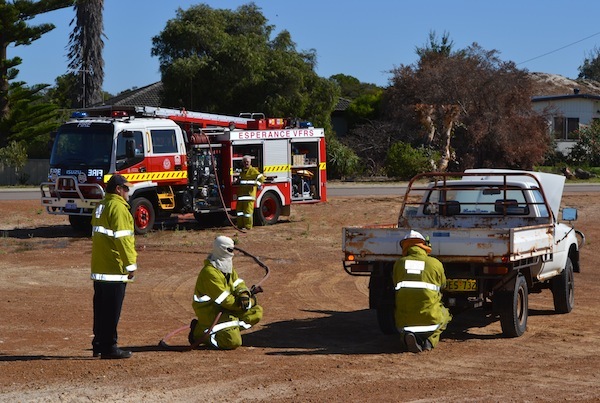 There is a vast array of activities carried out by volunteer teams, such as fire and rescue services, marine rescue, community event management and environmental activities are just a few. Compared to the UK where fewer organisations are operated by volunteers it gives people the opportunity to commit to something, like the fire and rescue services, without making it your career. 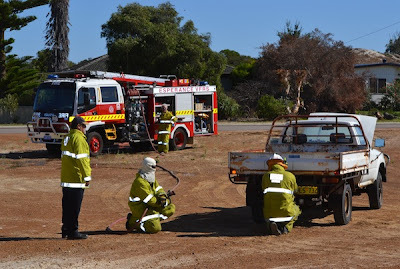 If you always wanted to be a fireman but somehow never ended up following that path, you can easily volunteer in Australia and live both lives. Most Australians, however ‘fair dinkum’ they may be, come from somewhere else (a lot from Britain). Excepting Aborigines, the population is basically a collection of immigrants. For the most part, this created a wonderfully diverse people who celebrate the variety of cultural contributions to their culture. There is also a day to celebrate this multiculturalism called Harmony Day, which is frequently marked in schools. There is one channel broadcast in Australia that broadcasts programs in foreign languages. For non-English-speakers television channel SBS must be an enormous comfort, so long as your specific language is at a convenient time. I have noticed German news on at 7am (which is too early to practice my German!) followed by Italian programs. Turkish news broadcasts at noon and French programs are on in the afternoons. They are a good way to keep familiar with a language you have once learned or on top of news from a different perspective. If you are a German who is not an early riser or French and have to work in the afternoons, you may miss out. Inexperienced drivers are required to display P Plates in Australia. Australia insists that drivers pass a theory and a practical test much like other countries. 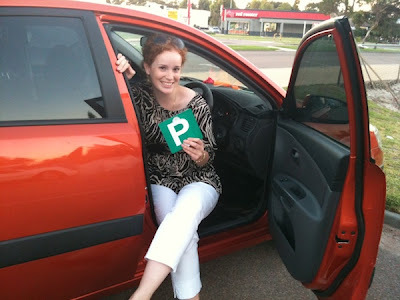 However they also have a system of not only ‘L-plates’ whilst learning, but also ‘P-plates’ indicating inexperience. I think it is very sensible to mark out the road users that careful folk would want to give a wide berth to, although I imagine it also does little for their confidence on the roads. It is a hassle that they must display the red plates for six months and then the green plates for another eighteen months (in the front and the rear window of the vehicle). Surely just displaying any P-plates for the whole time would be enough. Is there that much difference between the driving skills of someone who has been driving for six months, and eighteen? The system of double demerits comes into effect around public holidays such as Christmas and Easter. The term ‘demerits’ refers to negative points accrued for driving offences and is far less misleading than the ‘points’ dished out in the UK ("I got points for my driving today," sounds like a good thing, no?) In Australia they are called ‘demerits’ which frankly, makes more sense. Basically if you are caught committing any traffic offence during the double demerits period you get twice as many demerits as you would normally and it can result in you losing your licence. When getting a driving licence in Australia is such a mission, I’d imagine double demerits are quite the disincentive. To check out some of the other differences I have noticed take a look at The Aussie Way and The Aussie Way - Part 2. What have you noticed to be different when you have lived overseas?